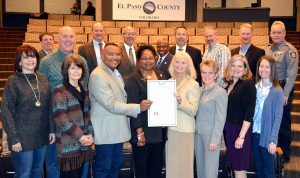 The Board of El Paso County Commissioners recognized Thursday, May 3, 2018, as the National Day of Prayer with a Proclamation supporting an American tradition that dates back to 1775. President Ronald Reagan further defined the commemoration by designating the first Thursday in May each year as the National Day of Prayer. 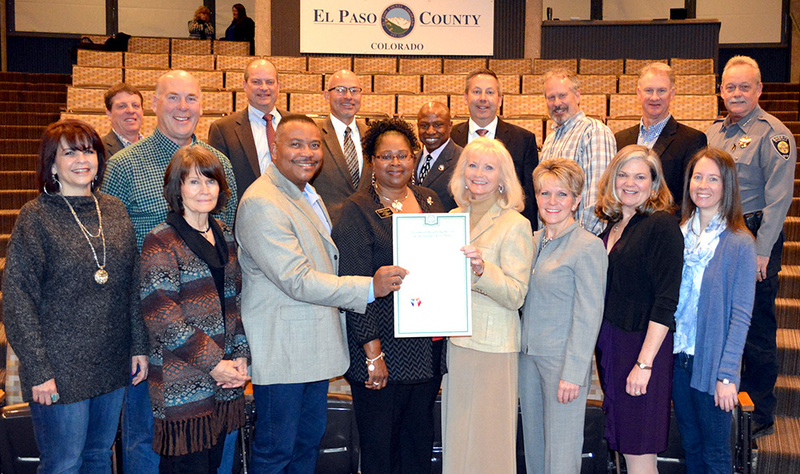 Board of El Paso County Commissioners began opening all regular meetings with a voluntary invocation in 2011. Commissioners urge citizens interested in delivering the invocation to attend the regular meetings. The 2018 National Day of Prayer theme is “Pray for America – Unity” and on Thursday, May 3, 2018, individuals across the state and nation will come together in prayer.